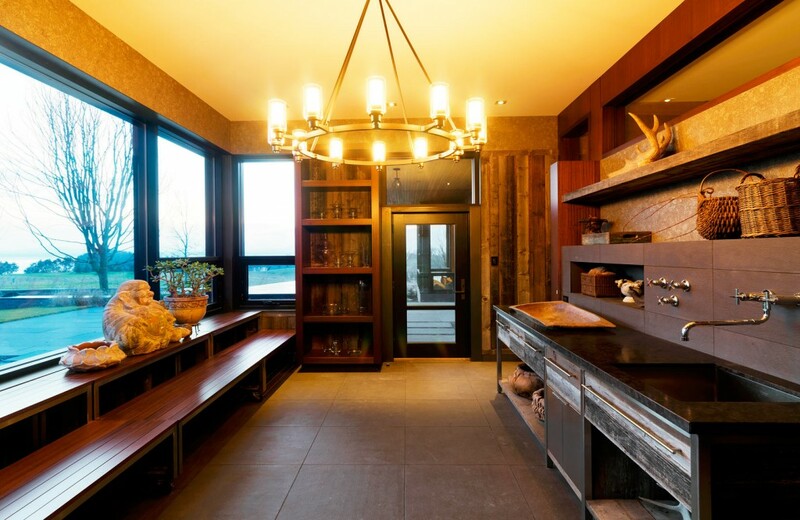 Country House Barn Board | Portfolio Projects | Fleur-de-lis Interior Design Inc.
Barn board with its irregular texture and subtle gray colour variations act as a rustic foil to the modern clean detailing of these spaces. 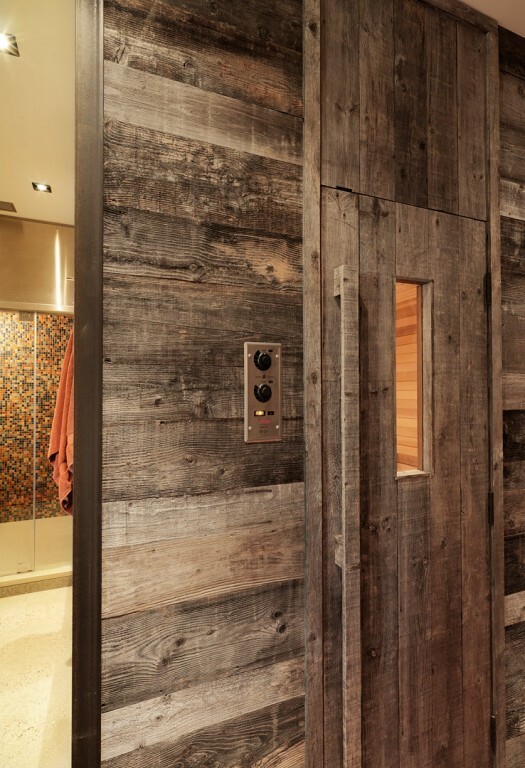 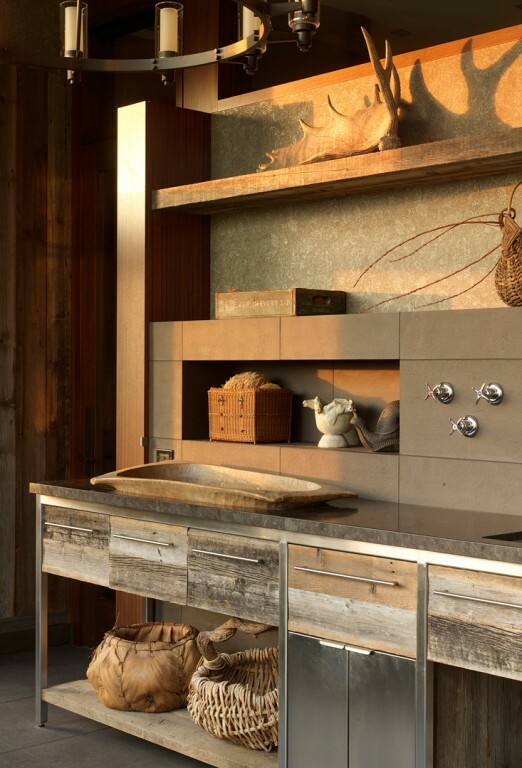 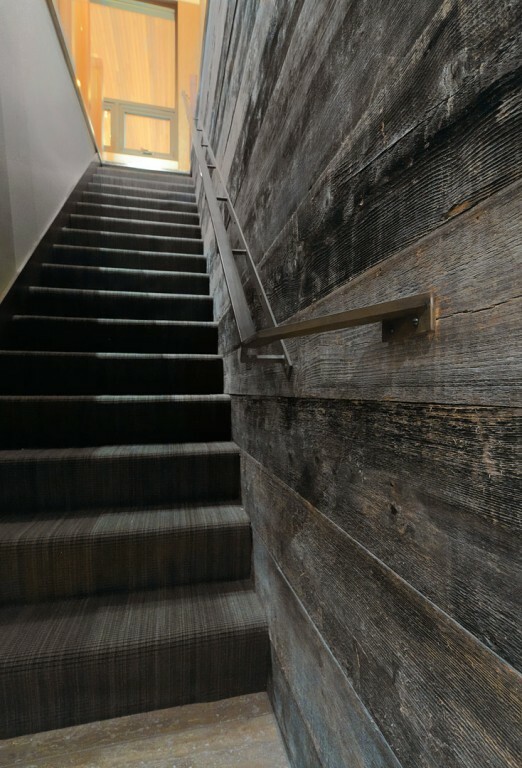 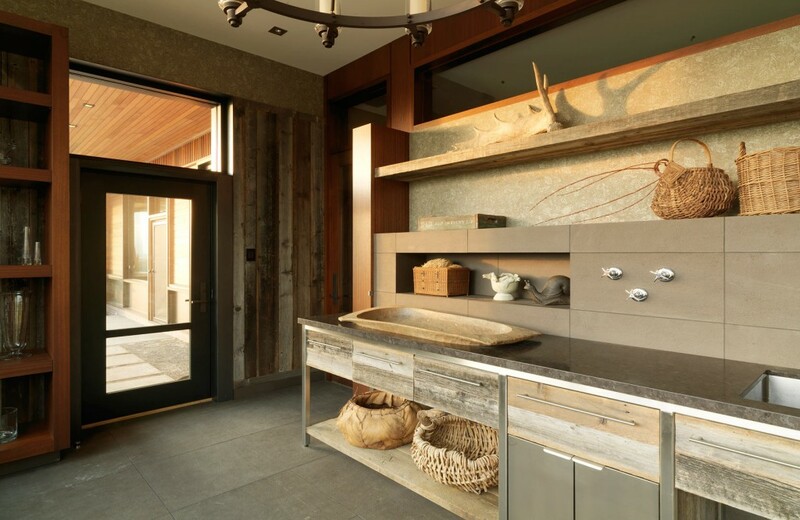 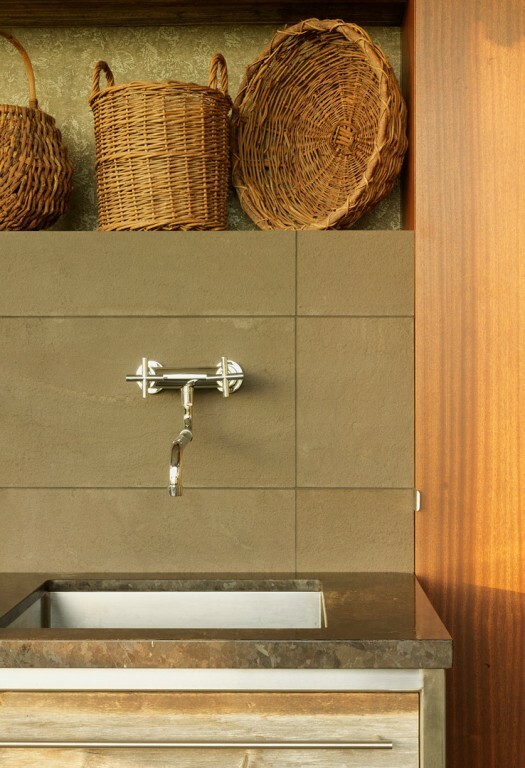 Limestone and stainless combined with wood accents, elevate the random coloration of the barn board to an art-like level. 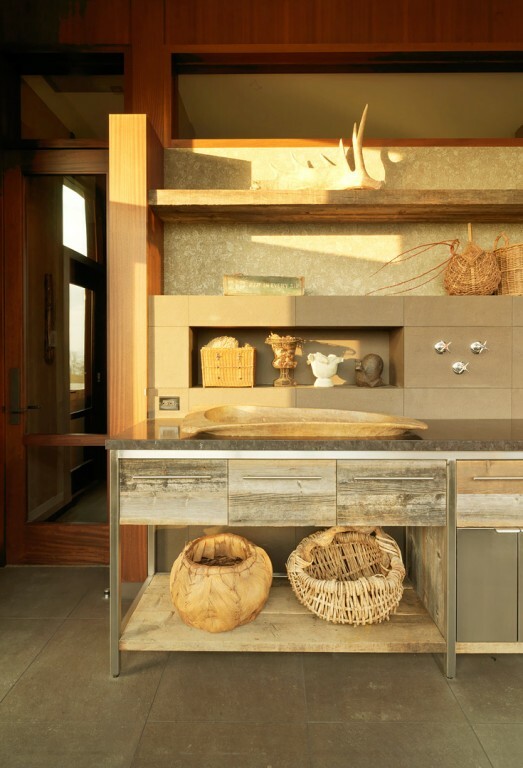 Antique wooden vessel, hand woven baskets, antlers and antiques combine to present a sun-kissed serenity. 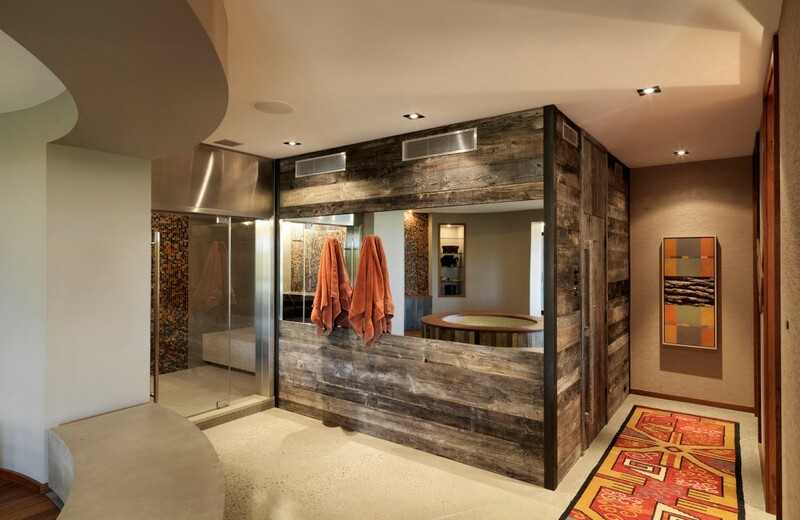 Juxtaposing the barn board with sleek shiny finishes becomes a theme to this country spa area. 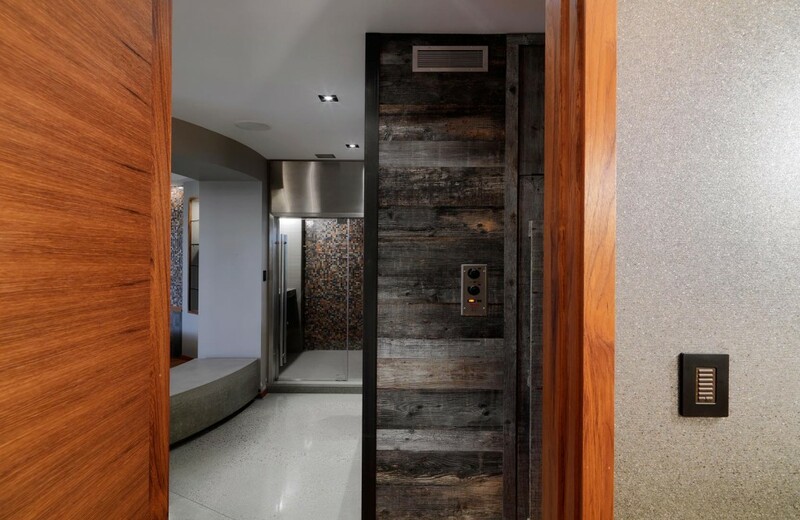 Stainless, glass, mosaic tile, raw concrete, mirror and raw steel-all hard, cool finishes become a muse for the graphic, organic quality of the wood.